I bought uScript Pro for Unity. It's on sale at the moment for £90. The below was a super quick test to move a cube forward, backward and rotate left and right ( highly advanced stuff ). Oh dear, I don't know if I could do that. Joking aside, it reminds me of Blenders node editor. I know very little about Unity and I'm also not a C# coder ( I use Delphi or VB.net for serious stuff ). So I thought it would be a nice "dip ya toes in" kinda of approach. Learn a little about the flow of Unity and then learn C# later down the line rather that fight with both at the same time. 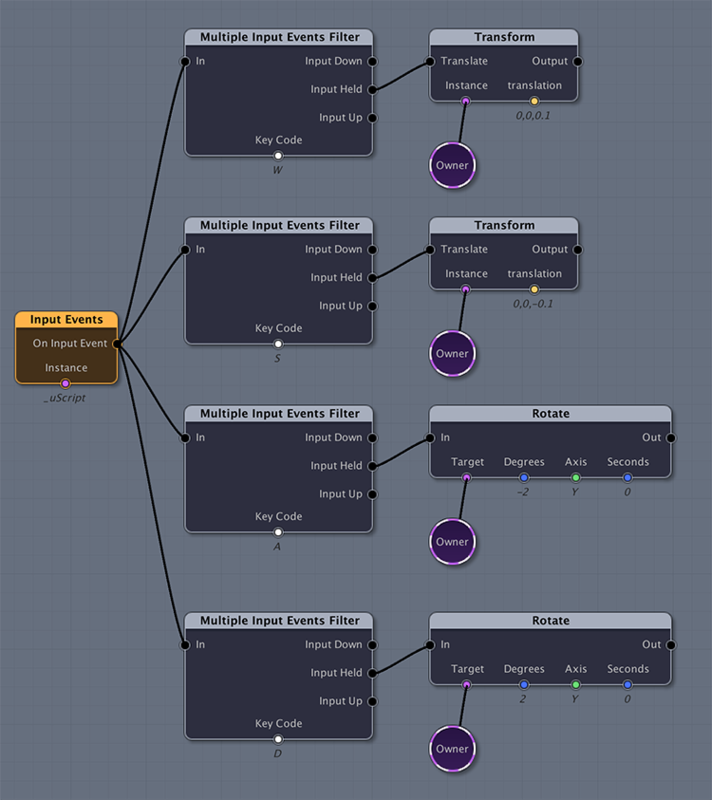 I looked at quite a few visual scripting assets and although Playmaker seems to be the best seller and Bolt a popular new kid on the block I went for uScript Pro as after watching a few youtube videos on it, it looked like it suited my needs better. ..for game coding this is not something i will enjoy..but for hardware programming is very handy...actually, im looking for some lib which allows me to create such graphical structure for my data i wanna use in hardware(microprocessor/microcontroller programming)...any of you knows such GUI lib for this sort of things?